Also coded Fiskars 393570. 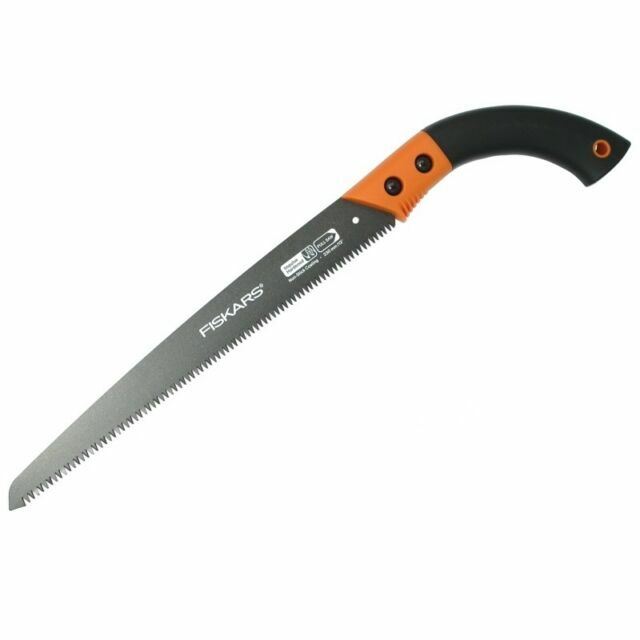 The Fiskars 13" Fixed Blade Garden Saw features multi-grind Power Tooth blade that cuts quickly for a smooth, clean cut. The corrosion-resistant, non-stick blade coating cuts with less effort and will resist sap sticking to the blade.